Racing Downhill Mountain Biking this year and looking to improve your riding skills? 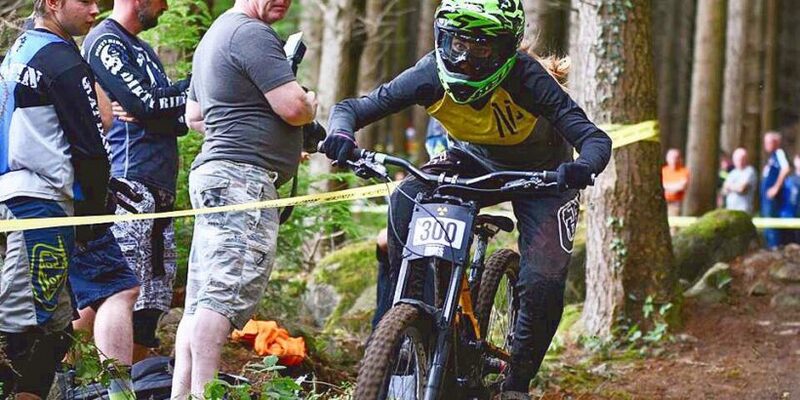 The Women’s Commission of Cycling Ireland are hosting an downhill skills development day in Rostrevor Forest Park on the 27th of April 2019. This event is for female riders looking to progress their racing and technical skills in downhill mountain biking. Multiple Irish National Downhill Champion Colin Ross will be on hand to analyse your technique and instruct you on how to improve your skills in a safe and effective manner. Have previous experience racing downhill or enduro mountain biking e.g. IDMS, BDS, Gravity Enduro Series, First Tracks Enduro Series, Grassroots Enduro Series or similar. Cost €5 to be paid in advance. All participants must book a half day uplift with East Coast Adventure for the morning session (£17.50 per person). Contact Silvia (women@offroadcyclingireland.ie) for more details. Cancellation of place must be at least two weeks before.